On December 9, 2011, Sharp is going to release its rocking Galapagos EB-A71GJ-B tablet in the Japanese market. 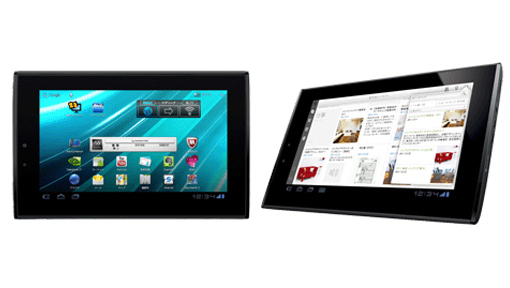 The dimension of the tablet is 195mm x 122mm x 11.9mm and it weighs just 396 grams. With this tablet, you can have a 7-inch touchscreen display with a resolution of 1024 x 768 pixels, a 1GHz Cortex-A9 dual-core processor, a 1GB of RAM, a 2-megapixel front-facing camera, a 5-megapixel rear-facing camera with LED flash, Wi-Fi 802.11b/g/n and Bluetooth 2.1 + EDR. On the other hand, you can have an 8GB of storage space, which is expandable via a microSD card slot with the Galapagos EB-A71GJ-B tablet. 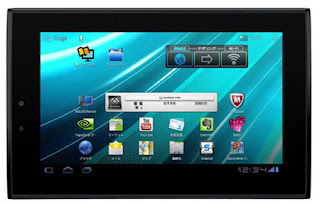 The OS of the device is Google Android 3.2 OS and features a a microHDMI port and a built-in WiMAX.